Zika Is Here; Is Yellow Fever Next? The mosquito-borne illness Zika has made its way from Africa to South America and finally to the United States. Now the World Health Organization (WHO) says Yellow Fever appears to be following the same deadly route. Beyond may soon mean South America, which has long been host to Yellow Fever. Because the disease has normally appeared in hot climates it has been virtually unknown north of Panama. Global warming, however, seems to be opening the door for tropical diseases to move their way northward. Medical people warn that this outbreak of Yellow Fever is the largest in many years. They worry that because of our warming planet, it will go global. Consequently WHO says it has launched a massive vaccination campaign in an effort to head off a global attack. Fortunately a vaccine exists to protect against Yellow Fever. There is no successful vaccine developed as yet against Zika. Zika, which generally causes mild symptoms in adults but microcephaly and other severe fetal brain defects in unborn children, is also suspected of causing severe problems with the nervous system like Guillain-Barre’ Syndrome. This disease is so new that researchers are working overtime to learn all they can about it and how to stop it. The best advice they have so far is to do everything possible to kill mosquito populations and avoid being bitten. Pregnant women are advised to stay away from known infected areas. Right now that involves Miami, Florida, and most recently St. Petersburg, where a new case of Zika has just been revealed. St. Petersburg is in Pinellas County, Florida, some 260 miles north of Miama. The Zika bearing mosquitoes are clearly moving northward this summer. Yellow Fever is a serious viral disease that attacks the liver and causes victims to develop yellow skin. The symptoms include fever, chills, loss of appetite, muscle pain and headache. There is no known cure except for the body's own immune system. Victims need to be hospitalized and placed under intensive care. Antiviral drugs, lots of fluids and pain relief are administered. Aspirin and other blood thinners must never be used because the disease causes internal bleeding. They say healthy immune systems can fight off a Yellow Fever infection over time. But when the cases go into jaundice and bleeding from the mouth and nose, the patient can suffer organ failure and quickly die. About half of the severe cases die. Both of these bugs can begin with mild flu-like symptoms that mask what is really happening within the body. It takes medical laboratory testing to make sure. If Yellow Fever goes global there may be an immediate shortage of the vaccine against it. As of the first of this year, only four labs were producing the vaccine. The process involves a slow production process that requires an 18-month-long wait between seed virus to agency approval. As of early this season the global stockpile was 6 million vaccines. WHO is attempting to vaccinate up to 16 million people before this heinous disease gets out of control. 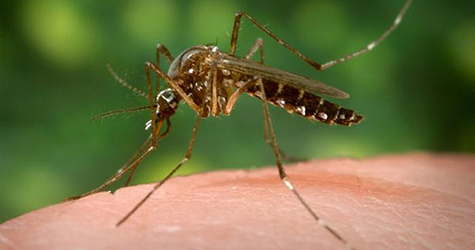 Your best bet this year; stay away from those zebra mosquitoes. Unfortunately people living in flooded areas will have trouble doing this.